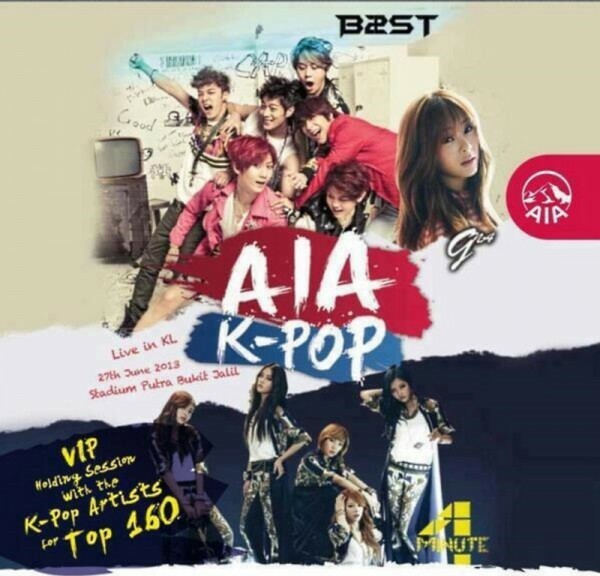 In January 2013, Asia’s leading insurance group, AIA, hosted their first ever AIA K-POP 2013 event. Held in Hong Kong, the concert featured dynamic boy band BEAST aka B2ST, explosive girl group 4Minute and talented girl band A Pink as the main headliners. AIA K-POP 2013 in Hong Kong was said to be one of the most electrifying concerts to hit Hong Kong as soon as 2013 begun.